May 14, 2018: U.S. President Donald Trump honored his promise for the Promised Land and on Israel’s 70th anniversary moved the U.S. Embassy to Jerusalem. Unlike the presidents before him, Trump is following through. Of course, as with all previous significant events in Israel, the move is met with violence and the lost of many lives. Update on timeline below. Donald Trump became a King Cyrus of sorts for Jerusalem. A Congressional delegation arrived in Israel March 4th (2017) to investigate the situation of moving the US Embassy from Tel Aviv to the Holy City of David – Jerusalem (Yerushalayim). About four thousand (4000) years ago Abraham met Melchizedek (King of Salem and Priest of the El Elyon – ‘God Most High’ Gen. 14:18); then three days later climbed Mt. Moriah – the Temple Mount. In c.587 BC the Babylonians destroyed Solomon’s Temple. Then according to the Holy Scriptures, “in the first year of Cyrus king of Persia, as spoken by Jeremiah, the Lord moved the heart of Cyrus king of Persia… so Cyrus said, ‘the Lord, the God of heaven, has given me all the kingdoms of the earth and he has appointed me to build a temple for Him at Jerusalem in Judah’ (son of Jacob – Israel; Ezra 1:1-2).” And about 538 BC Ezra and Nehemiah led the Israelites to begin what would be called Herod’s Temple. And again, as prophesied by Jesus Christ (Mark 13:1-2), the Temple was destroyed – in 70 AD by the Romans under Titus. The Jewish Sanhedrin (Beth Din HaGadol – the Great Court) was disbanded by Roman proconsul Gabinius 57 BC, but restored in 20 AD when Judah gained independence under Rome. Then after the destruction of the Temple, the Sanhedrin was moved from Jerusalem to Yavneh. In 425 the Sanhedrin ceased after Gamliel VI was executed under order of Emperor Theodosius II, who made Temple actions illegal. And with the rise of the Muslims about 640, the Arabs seized and controlled their territory and banned the religion. After about 1600 years, October 2004 the Jewish Sanhedrin was reestablished under Rabbi Yosef Elyashiv (died at 102). In Elul 5765 or June 2005, Rabbi Adin Steinsaltz (age 80; 5777 or 2017) was elected to Head the Sanhedrin. After WWII (allies pushed back not only the Germans and Japanese, but also the Turks and Arabs opposed to the Jews), in 1947, the UN adopted Resolution 181 which was supposed to make Jerusalem a Corpus Separatum (‘separated body’) under a special international regime in order to protect the holy sites of both the Jews of Israel (which was in the process of becoming a state in 1948) and the Muslims. The 104th Congress of the United States passed the Jerusalem Embassy Act of 1995. It was passed, with a 93-5 vote in the Senate and 374-37 in the House, to fund the relocation of the U.S. Embassy in Israel from Tel Aviv to Jerusalem, no later than May 31, 1999. However, President Bill Clinton would not implement it during his time in office (1993-2001), nor George W. Bush (2001-2009) or Barack Obama (2009-2017). Trump on the campaign trail promise that he would be the President to move it. Ronald Reagan and George H. Bush administrations were opposed to moving the embassy to Jerusalem. As candidates for the presidency, however, Bill Clinton (and in 2016 Hillary), George W. Bush and Barack Obama all pledged to move the embassy. January 2015, the Jerusalem Post wrote, “Netanyahu’s last visit to the US in October included some unwelcome exchanges, now routine in his relationship with Obama.” Donald Trump promised likewise to move the Embassy to the Holy City; however, Trump is a friend of Israel’s Prime Minister, father to a Jewish daughter and son-in-law (Jared Kushner – an energetic intelligent 36 year old senior advisor, whose family has known Netanyahu’s family personally for decades), supporter of Israel and appears to be delivering on the promise. However, Clinton, Bush and Obama all recognized Jerusalem as Israel’s capital; yet, feared moving the capital for the sake of diplomacy with Muslim Nations. The Federalist article below reports this to be true, along with videos. 2016 – Donald Trump Campaign: states several times that he would support and push to move the US Embassy in Israel to Jerusalem. January 3, 2017: Less than a week in the new session; Senators Dean Heller, Ted Cruz and Marco Rubio introduced to the 115th Congress the 2017 Jerusalem Embassy and Recognition Act which referred to the Committee on Foreign Relations. January 4, 2017: Representative Leonard Lance introduced H.R. 265 to be assigned to a congressional committee before going to vote in the House and Senate. H.R. 265/S. 11: Section 2 of the Bill states, ‘recognition of Jerusalem as the capital of Israel (H.R. 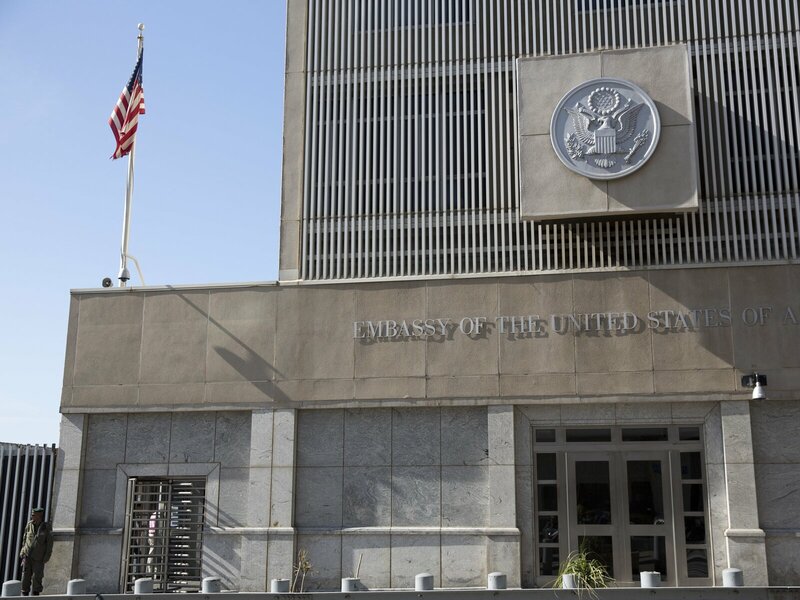 257) and relocation of the United States Embassy.’ It says, “every citizen of Israel should have the right to reside anywhere in the undivided city of Jerusalem…” and that “the President should immediately implement the provisions of the Jerusalem Embassy Act of 1995.” The Act also appropriates funds for 2017 through 2019. Similar bills where proposed in 2011 and 2013, but Obama ignored them. Nearly every US embassy in the world is located at the nation’s capital. January 14, 2017: PA President Abbas met with Pope Francis for his support against the US Embassy move in Jerusalem. January 20, 2017: Donald J. Trump took the Presidential oath of office. February 2, 2017: Jordan’s King Abdullah met Trump at White House and warned that moving the Embassy could be detrimental to the two-state solution; and bring violence. February 15, 2017: President Trump and PM Netanyahu hold a Press Conference in the White House. Trump’s first foreign head invited to the White House was Israeli Prime Minister Benjamin Netanyahu. March 2, 2017: The nomination of Trump’s Ambassador to Israel was approved, 12 to 9, by the Senate Foreign Relations Committee. He must be confirmed by the Republican-controlled Senate. March 7, 2017: Israeli Defence Minister Avigdor Lieberman met with Vice President Mike Pence, Secretary of State Rex Tillerson and Defense Secretary James Mattis. March 8, 2017: The Arab League voted unanimously for a resolution to block the relocation of the US Embassy from Tel Aviv (Israel’s 4th largest city) to the Holy City, Jerusalem. December 5, 2017: Saudi Arabia’s King Salman warned U.S. leaders that declaring Jerusalem as Israel’s capital “would constitute a flagrant provocation to all Muslims, all over the world.” Nevertheless, Jerusalem was and is the rightful capital of the Jews, and with or without a two-state solution perhaps Pres. Trump will do what many others before him have not had the boldness and care to do – move the embassy and recognize the Holy City is the capital of Israel. As of the first week in December, Trump still postponed to announcement – but in his style – has put out both explicit and implicit implecations that he will follow through with his promise to both American voters and Israel. Trump will act under a 1995 law that requires the United States to move its embassy to Jerusalem. Bill Clinton, George W. Bush and Barack Obama, only consistently put justice in fear of unstoppable conflict in the Middle East. After WWII and the new United Nations agreed to recognize Israel as a state, immediately in 1948 war between the Jews and Arab Muslims began – freedom and justice often comes at a cost. December 7, 2017: Palestinian Islamist group Hamas called for a new intifada (‘uprising’) and protests have begun in several parts of Israel, as well as other places such as Cairo and Jordan. There is usually a cost for freedom and change and justice. After WWII, the newly created United Nations recognized Israel, and immediately after it became a state in 1948 war broke out between Israel and Arab Muslims. January 5, 2018: a year after S. 11 and H.R. 265 was proposed, to recognize Jerusalem as Israel’s capital and move the embassy there; the Bills have still not been reported to Committee and scheduled for debate. Skopos Labs predicts only a 12% chance of the House bill being enacted and 4% for the Senate bill. The move from Tel Aviv to the Holy City requires finding an appropriate location and renovating the location for the opening. So technically, both Netanyahu and Pence could be right. With or without Congress, it is most likely Trump will not delay beyond 2019; about the same time Israel Transportation Ministry proposes the launch the Donald Trump Railway Station near the Western Wall in Jerusalem. The new site will remain under construction for up to seven years, and most of the 850 embassy workers in Tel Aviv will not move to Jerusalem until the permanent new building is constructed. The location is on the land of the American Consulate. February 2017: Rabbi Hillel Weiss, spokesman for the nascent Sanhedrin spoke to Breaking Israel News saying that both U.S. President Trump and Russian President Putin have voiced support for Israel. He explained, Trump promised to recognize Jerusalem as the capital of Israel, move the US Embassy to the Holy City of David, Jerusalem, and to restore our alliance. He told that Putin had expressed a desire for the Temple to be rebuilt; and stated that the two Presidents were ‘modern-day Cyrus figures – non-Jewish kings’ who recognize Israel and the Temple. Weiss stated that ‘Cyrus the Great, King of Persia in the sixth century BCE, announced in the first year of his reign that he was prompted by God to make a decree that the Temple in Jerusalem should be rebuilt.’ He quoted Ezra 1:2 and then told the news source that the Sanhedrin plans to call on the two world leaders to take up this ancient Biblical decree and holy mission of the Jewish people. Rabbi Weiss went as for to say that the US election of Trump made the eternal Jewish dream a real possibility. Weiss reminded readers of the Jerusalem Embassy Act passed by Congress in 1995; and called on Trump to follow through with his promise. Upon learning of this exchange, the Sanhedrin sent a letter to Putin calling on him to fulfill his prayer. The Sanhedrin has also asked Trump to take up the cause and reminded him of the Balfour Declaration issued by Great Britain in 1917 just after WWI which gave official recognition and backing for the complete establishment of Israel.